- Not quite sensible really! - So I become hit by the book Gomorrah of Roberto Saviano on the Naples Camorra. - In cafes and hotel rooms, I read the book. Saviano texts said to have started as a blog as he was a student and when he went around on scooters and followed in Naples Camorra as a part of his philosophy studies at the University Federico II of Naples. Saviano is a journalist on the method of reconnaissance. On the spot, he sees the victims of the Camorra vendettas, murder and drug sales. He follows the criminal activities and engaged closestudies of current locations; Naples' port, textile factories in the old worn-out industrial buildings in the suburbs, building "poisoned by cement, drug sales and speed of youth gangs in Casal de Principe, legal business hotels in Scotland and especially garbage management and visits to Tierra del Fuego in soups dumped in Caserta - field. Interviews and discussions on site is monitored by police reports, autopsy protocols, lists of berthing ships and the art of magic away a number of cargoes, fifty thousand fake waybills, In Naples port. Radio and newspaper reports are reviewed and he describes how young people entering the photo in question arrested gangsters on their mobile phones. Depictions of bestial killings are so painful in its details that you have to put down the book during the reading. Narrative pace draws energy just in the collection of facts, not least by name camorister running through the document. The language is literary. Saviano is working with metaphors and build a world view through the image of the system. 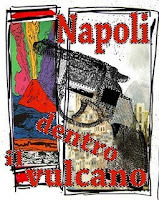 See the Camorra, which like the stronger a la Machiaveli rules the world with threats of violence and Euros. The system spares none. There are no razor sharp boundaries between the rich North and the impoverished south, or between the white and the black economy. - Actually, there are only losers. Globalization is taking hold and, in principle, are all involved and affected. - Yet it is fundamentally, I think, a post-colonial situation (southern Italy who exploited developing countries) that exists for people in the beautiful Bay of Naples and as portrayed in Gomorrah. Saviano has written a novel of development. Along the way an ego made entry. He is looking for a place where he can reflect on the words without the ability to be corrupt. The choice becomes Pasolinis grave in Casarsa in the Friuli-Venezia region in the northeastern Italy. Where he can scream out his "I know my time, I know," and he decides to become a truth-telling wittness. Maybe it's those who do not give up becoming a model. Those who come forward, like the priest Don Peppino Diana, or the teacher in Mondragone who dared to testify after having seen a murder committed. Those who are active and sincere in the fight against the Camorra with their lives.The chapter on the murdered priest, Don Peppino ends with a biblical text about Gomorrah, which may Peppino prepared, as the sermon when he met his killers in the church in Casal de Principe, and has been given its name to the book. It is easy to make literary allusions to Saviano hike: As a contemporary Dante wanders he rather go scooter, by Camorraland. It is a realm of death, like Dante's hell depiction of the divine comedy, albeit shifted to the earth life and the contemporary consumer society. Gateway to hell is Naples' port is actually not far from the entrance to Hell, Lago DÁverno, as Dante entered into with Virgil as went into The Divine Comedy. - Where did you get, you bastards! - Still, I am not dead! Like Dante, he may also find themselves in a life in exile after writing the book. It is also said to be difficult for him to move in the home area of Naples without having ever bodyguard protection. Saviano's book is well written with a volcanic heat may be said. Perhaps it is that makes the literary associations present themselves. Strangely enough, the poor attention of the big Swedish newspapers specially DN. Saviano has nevertheless recently, November 22, visited Stockholm (SVD Attended and Junivallen with festive recording GADGET) and an intense depiction of contemporary society may be looking for. One who wrote passionately already this summer on Roberto Saviano and his book is a blogger Junivallen and also Bodil Malmsten have noted it. Nicely written. I liked especially to the few reviews written about the book in Sweden is so incredibly warm. They are positive, but so indifferent, they do not include the special book is! It can by all means be who I am wrong about how special it is ... But, fasiken, saw it rather than engagement with writing like that clever!I interviewed him when he was here, he really never get tired of the subject, it seems that, even though he had sat and done interviews for several days and many more during a year and a half years if the same thing, "he answered as if it was the first time someone asked the questions. Thanks Malena!Mats Gellerfelt had a feature article on Roberto Saviano and Tomas Lappalainen Camorraböcker in Svd 1 / 11 07thActually think it is so that the good and on their time engaged Gellerfelt simply not had time to read Saviano book before he wrote the article.He confuses the Italian parts of the country called Campania, Calabria and seem tepid and does not really have an eye on the situation of Saviano book.- Is convinced that if he had actually read the book would have been much more passion in the pen from Gellerfelts direction. Yes, strange to Gellerfelt. Lappalainen, he seems to have read, however. I like a lot of Lappalainen book too, but it's clear that he influenced a lot by Saviano, I think. It is quite interesting. I have a feeling that Lappalainen book was meant to treat Camorra much more as a cultural phenomenon from the beginning, but Saviano plotted as the substance of reference. Lappalainen last chapter on globalization (in which he steals from the beginning Saviano) feels like the beginning of what the subject is really about. - Certainly so!Aj ... aj sad by Lappalainen, where the final chapter.- Must confess I only read his sly Camorrabok on Akademibokhandeln in Kista. 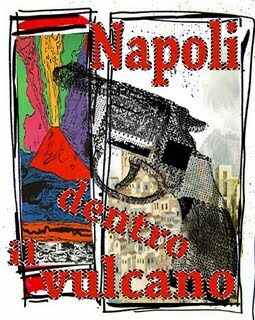 Especially, I have snowed in on the maps of various camorragrupper in Naples, deeply sunk in an armchair in the shop.Otherwise, like the TL's Italy book and also see Naples and then die. For anyone who can read Italian should see Lappalainen essay in N. .. die on Anna Maria Ortese arouse curiosity.- Moss or!? Lappalainen är bra, jag har faktiskt Se Neapel... home, borrowed from bibblan, so I said well to read it soon. Maja Lundgren wrote all about his camorrabok in mosquitoes and tigers, something that he said he would leave the way: "mafia sells". Bit of the impression one might get the book, but as I said, it is much good with it, it is not at all bad.You should read Ortese also ... But I have not done it so I can not compare myself. It would be nice to know what he thinks of her.There are similarities with the well-Saviano and Maja Lundgren, although the differences are large and Lundgren gives itself in the Swedish culture world, her book is not about the Naples Camorra, or thought. But mention of the name, the mixture of novel and facts, literature and action. Fixed ... Saviano is much better and more urgent. Will certainly be a purchase of Lappalainen Camorrabok - maybe for Christmas! Obs texterna ovan är körda via översättningsprogram. - Viss risk alltså för parodiska fel!